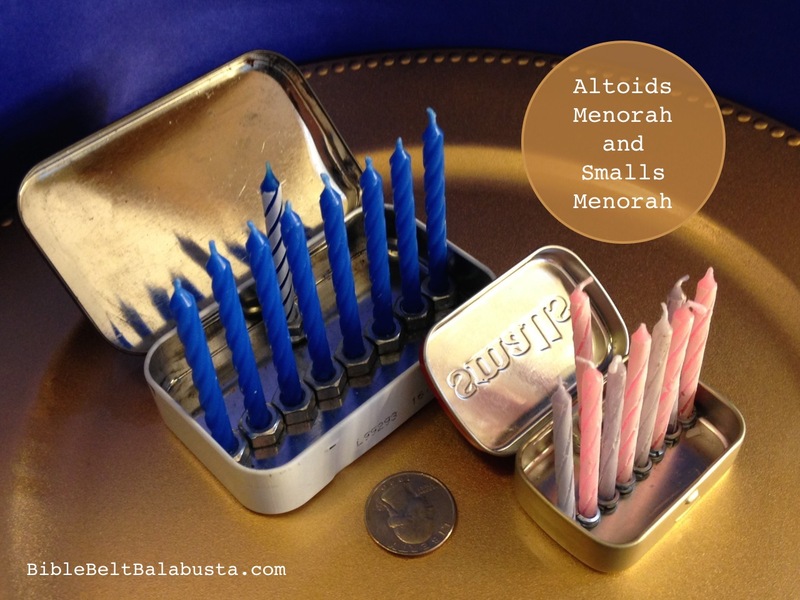 Last year I made a “curiously tiny” menorah from an Altoids tin. 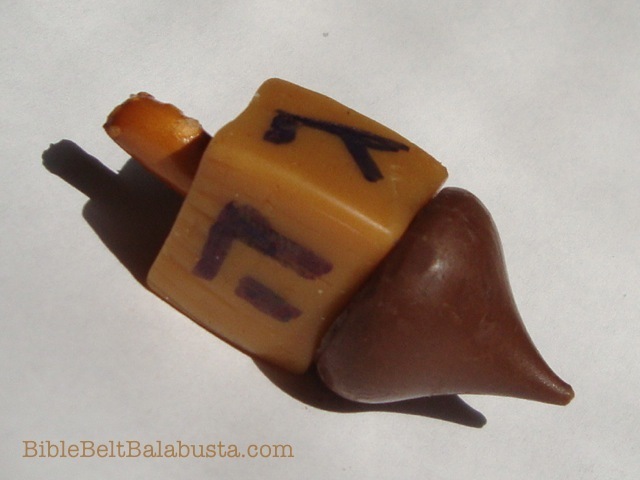 I also made the claim that as menorahs go, you can’t get much smaller. I was wrong. In the U.S., Altoids and Smalls are in the impulse-buy checkout line at nearly any grocery store. My apologies to friends who live in places where this is not the case, because you are deprived of packaging beloved by children, DIYers, survivalists, outdoor folk, and by thrifty people who simply like to stash stuff in fabulous free tins. If a Venn diagram showed a circle for every interest group, the area where we’d all overlap would be labelled “has reused at least one Altoid tin.” These little boxes are a common denominator in a divisive world. The challenge of a Smalls menorah is hardware. Hexnuts small enough to fit the tiniest candles are too wide to line in a row, and I was determined to avoid arranging my flames in anything resembling a curve. Not that the menorah is actually kosher for ritual use: the mere fact that it uses birthday candles trayfes it out of the running because kosher flames must burn at least 30 minutes (and even longer on a Friday night). A rummage through my hardware collection turned up a bag of lock washers (size #8) that fit the width of the tin exactly. Eight sets of doubled, super-glued washers produce just enough depth to hold the tiniest (and therefore crappiest) birthday candle. 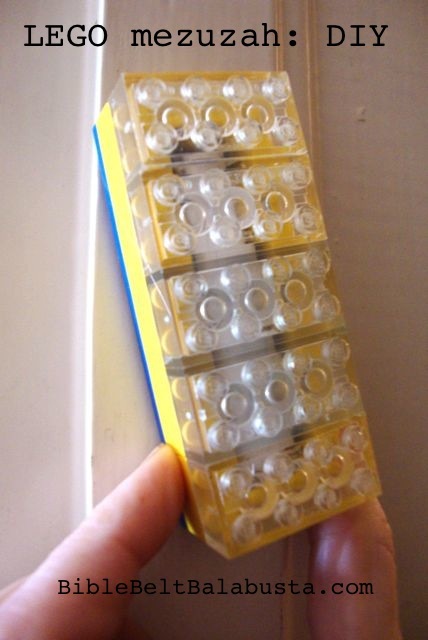 ** The shammash stands behind the row, held in two tiny hexnuts (what’s a homemade menorah without hex nuts?) topped with another lock washer. I didn’t have to use hardware, of course. I could have smooshed a wad of clay into the bottom of the tin and poked candles into it. However, metal is far safer when dealing with fire and metal is fun. I won’t actually try to use my Smalls Menorah for ritual purposes because I have a zillion other normal-size hanukkiyot for that. No, this teeny Menorah will join (most of) the rest of my DIY hanukkiyot when I quiz students on what is and what is not a kosher menorah for Hanukkah. 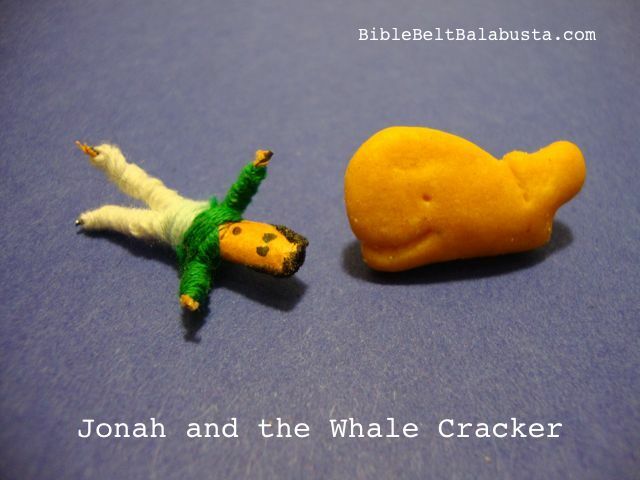 Its freakish size should generate interest and discussion, which is miracle enough for me. 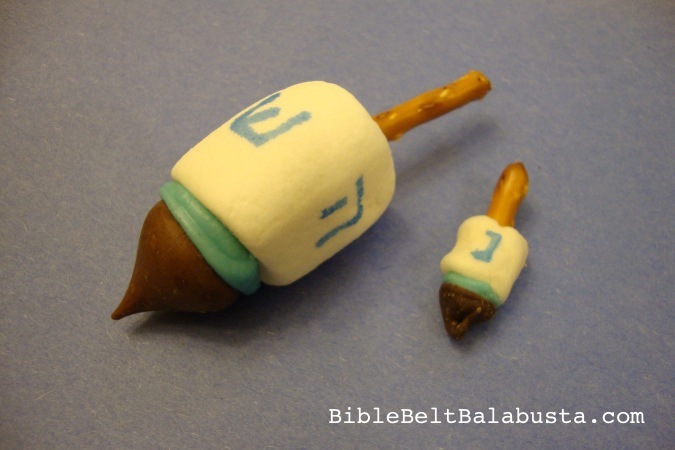 On a related note, here’s my post about planning a Hands-On Menorah Quiz for a carnival, but it can work for a class or party, too. Trust me, it’s fun. It just needs a fun name. KASHRUT: Altoid Smalls don’t contain gelatin and are therefore kosher—but they still don’t have a hecksher, so are therefore not kosher. 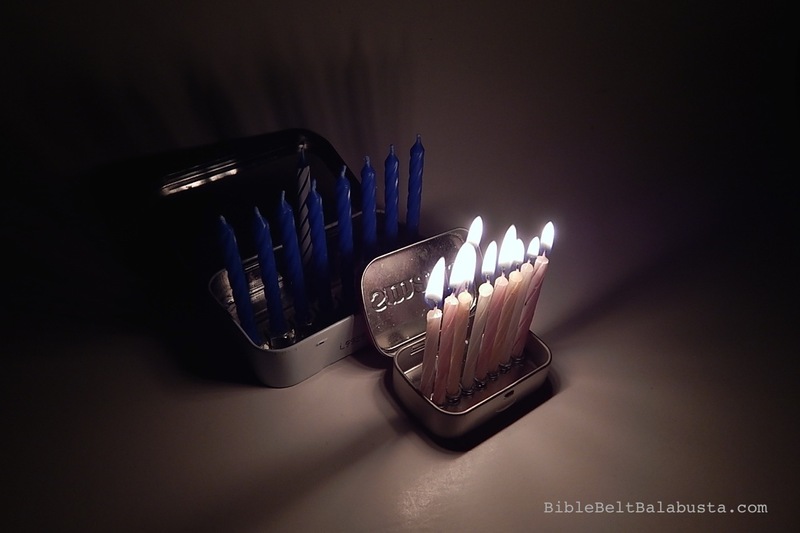 In my Altoids post I mention my desperate need for a tin of indisputably kosher Rabbi Mints. I’ve engaged three of my Beloveds to search Manhattan shops purported to stock them, but alas, no luck. 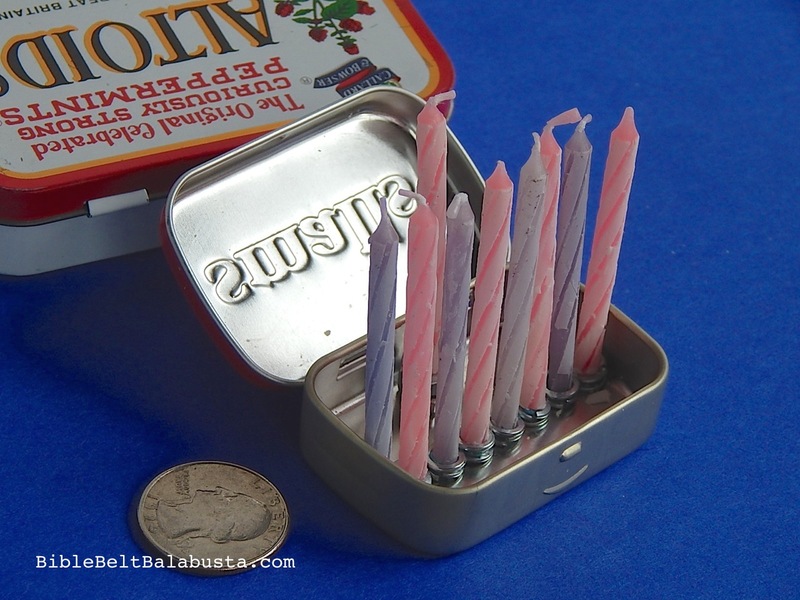 Until then, I make do with gelatin (Altoids) and sugarfree (Smalls). * “can’t get much smaller” doesn’t mean you can’t get smaller. Have you seen the marvelous menorah made of a row of wooden matchsticks? 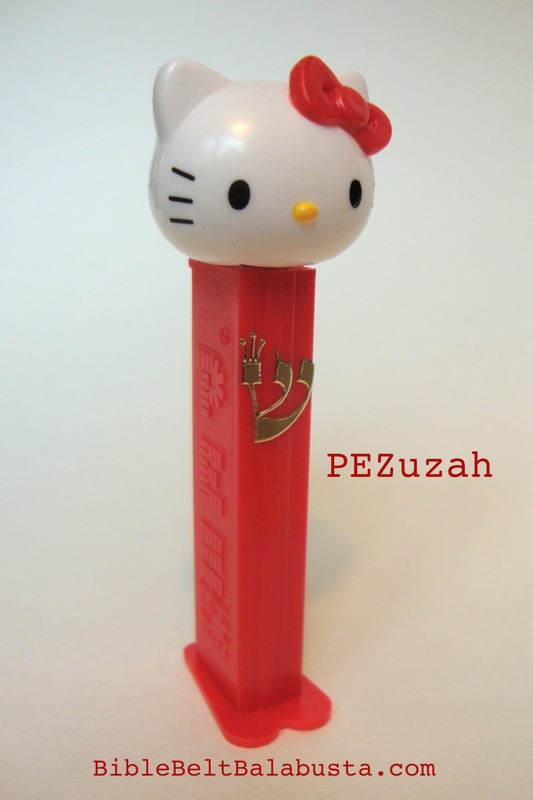 The Hanukit, from Israeli design studio Reddish. 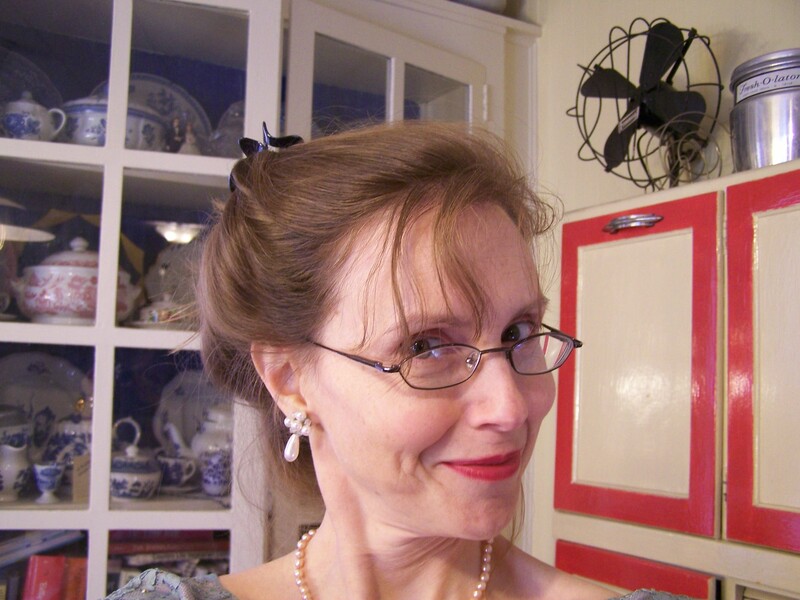 ** I don’t mean the trick re-lighting candles, which have the girth of a toothpick. I mean regular candles, but the most shoddily made. Dollar Tree birthday candles look luxurious by comparison. This entry was posted in Crafts, Hanukkah and tagged menorah, recycle, scrap art. Bookmark the permalink. Oh boy, thanks for the tip! I’ll take a look. Happy Hanukkah to you, too!